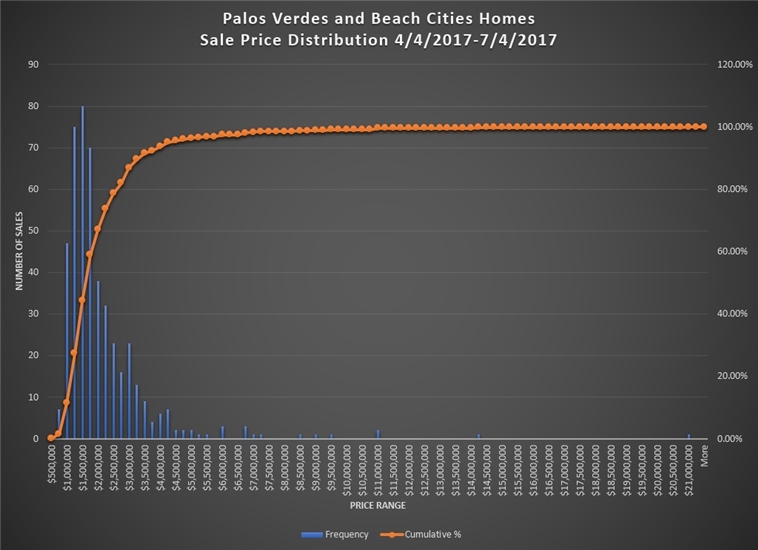 Respected Forbes magazine did a study recently in which they drew conclusions as to what zip codes have the most expensive homes in California but as it turns out, their study was flawed as it drew data only from those homes for sale in a 90 day period preceding their study. Well, who cares about what are mere asking prices? We all know that certain sellers have an inflated view of what their home is worth. How do we know this? Simple math and human psychology. As agents when going into “listing presentations” in which home owners are interviewing us brokers to determine who to list their home with (and truth be told, the best of us are actually interviewing the home owner to find out if we’re dealing with a reasonable seller) the most common statement we hear from homeowners when presented with competitive sales revolves around how superior their home is to those that have sold because of improvement “x”, “y” or “z”. The fact is that if the next buyer tears out “x”, “y” and “z” because it doesn’t suit their taste, how much added value were these remodeled elements? The math part is perhaps easier to understand. 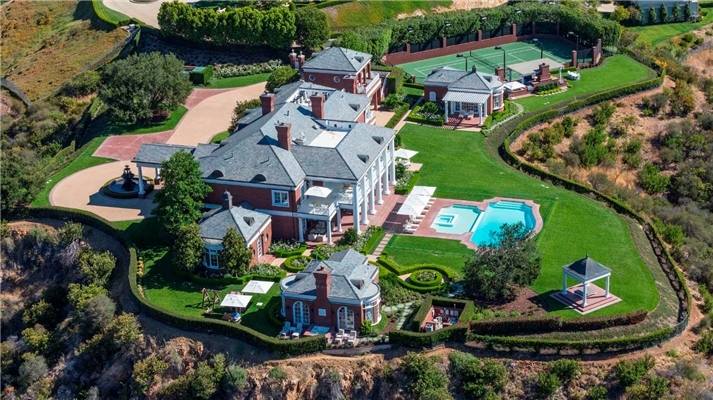 In the last 90 days for the Palos Verdes Peninsula only 85% of the homes listed for sale actually went into escrow. That means that 15% of the listings failed. This is why I much prefer the study done by the folks at PropertyShark. They focused on closed sales only in their study of the most expensive zip codes. I suppose I’m not surprised to learn that of the top 100 zip codes in these United States, 72 were located in California and New York. No, the South Bay’s expensive zip codes of 90274, 90275, 90266, 90254 and 90277 were not in the top 25. The ZIP code that covers the entire Portola Valley town — which has already made a name for itself as one of the wealthiest towns in California — is so appealing to affluent buyers that it has commanded a median selling price of $2,815,000. Making its way to the top 10 (after landing on the 12th spot on our list last year), this Los Altos ZIP code can brag about median selling prices of $2,831,250. This location — on top of being a stone’s throw from major employers, with the Googleplex itself being in the nearby Mountain View — has the added benefit of neighboring Stanford University. Despite that, the Palo Alto ZIP saw a $215,000 drop in selling prices, with the median for the area now sitting at $2,935,000. Registering an 11% drop in home prices, the iconic Beverly Hills ZIP code traded its Top 3 spot from last year for an honorable 7th spot on our list. Part TriBeCa, part Financial District, and surrounding the World Trade Center, 10007 saw a spectacular growth in 2016 in terms of selling prices: while the year before, homes in the area commanded a median price of $2,800,000, 2016 median selling prices jumped way past the $3 million mark, at $3,349,657. The ritzy neighborhood north of Montana Avenue consolidates its position as a top attraction for affluent (and international) buyers, with a median price of $3,395,000. A popular retirement destination for investors and affluent retirees, 33109 stands out as Florida’s most expensive ZIP code, with a median selling price of $3.4 million. Few areas can compete with the appeal of this ZIP code, which includes parts of TriBeCa, SoHo and Hudson Square. It then comes as no surprise that properties in the area sold for 12% more in 2016 compared to the previous year, with the median price now up to $3,808,765 — bumping it up one position and securing a top 3 spot among the most expensive ZIP codes in the country. Despite being home to less than 8,000 residents, Atherton can pride itself on having some of the most expensive real estate in the country. Nevertheless, its 2016 median price of $5,425,000 is down 8% from 2015. With its sprawling mansions — that sell for about $5.5 million — this Hampton’s ZIP code is the undisputed leader when it comes to hefty prices and exclusive living. But despite managing to maintain its top spot on the list of most expensive ZIP codes, Sagaponack saw a 35% decrease in median sale prices — which translates into a full $3 million price drop. Based on information from California Regional Multiple Listing Service, Inc. as of April 19, 2019 10:39 and/or other sources. All data, including all measurements and calculations of area, is obtained from various sources and has not been, and will not be, verified by broker or MLS. All information should be independently reviewed and verified for accuracy. Properties may or may not be listed by the office/agent presenting the information.